As someone who was involved with collegiate athletics while working as a student manager at the University of Notre Dame and has directed hundreds of high school student-athletes to college in my roles as guidance counselor and principal at ASC’s on-site schools, the answers to the two questions are clear. First, collegiate athletes are representatives of their schools and act as important marketing tools. Our love of both team and individual competition connect us emotionally to our alma maters creating relationships that last for decades. This link follows us long after graduation making us more open to making donations both big and small. Big improvements on the field or court are often followed by more alumni giving. Surprising enough, athletic success can also result in increasing the quality of its student body. 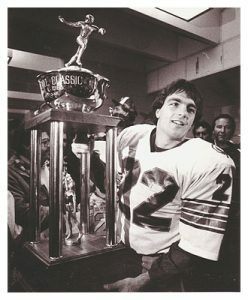 This is known as the Flutie Effect which is named after the significant increase in applications to Boston College as a result of Doug Flutie’s heroics on the football field in the ‘80s. The increased exposure of the school led to a larger application pool that allowed admissions to be more selective. Boston College was able to improve their student body without raising professors’ salaries. This phenomenon has been repeated many times with the recent examples at Gonzaga, Virginia Commonwealth, Butler and Florida Gulf Coast. It becomes clearer why many colleges decide to follow this path and attract the best high school athletes. With many schools applying this strategy, a different question is whether student-athletes deserve preferred treatment. I believe that they do. First, to be even considered for a scholarship a high school athlete has to develop skills that set them far apart from the norm. An NCAA report stated that out of 182,876 high school tennis players from 2014-15, only 1.6% made it to a Division I team. 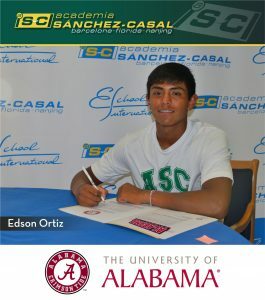 When I look at the cases of ASC’s six recent signees, each one of them worked hard to develop their talent that make them part of the top athletes in tennis. They all started playing tennis around the age of six and began to dedicate themselves exclusively to this sport around age eight. Then for the following decade, they have spent from fourteen to twenty-five hours a week on the court or the fitness room improving their game. Now when they enter college in 2017, there will be no time for them to rest on their laurels. As most college scholarships are renewed on a yearly basis, the players are constantly working to meet their coaches’ demands. While the NCAA has established a limit of twenty countable hours of participation per week, this only extends to supervised training sessions and competition. Administrative meetings, travel time, medical visits, and “voluntary” workout sessions are not included, but can effectively increase a student-athlete’s commitment to over thirty hours per week. Without entering the debate on whether student-athletes are university employees or workers, what is clear is that they are individuals with highly developed skill sets who dedicate many hours that directly benefit their schools. In this light, compensation in the form of scholarships and other perks seem justifiable. I hope that this article has provided you with a better perspective on student-athletes and the value that they can add to a university. These young men and women take an arduous path from an early age to become the best in their sport and continue that dedication at college and beyond. In the new year, I will write about the mental approach and environmental factors which enhances one’s chances for reaching his or her goals. During my twelve years partnering with Academia Sanchez-Casal, I have seen multiple paths to success whether it be on the Tour and at the college level. 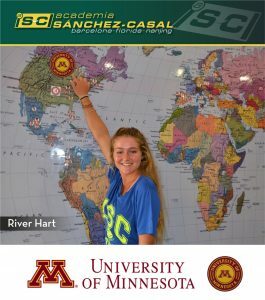 This is what we are dedicated to: providing our players with opportunities in tennis, education and life. 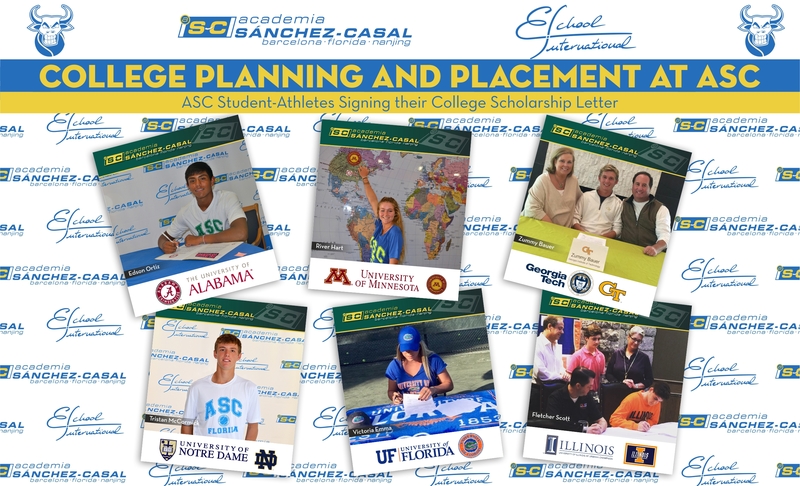 This entry was posted in Education and tagged Academia de tenis, American Colleges, American tennis, American Universities, Andy Murray, atp, Becas, Coaching, College, Educación, Education, Emilio Sánchez Vicario, Escuela, Escuela Internacional, High-School, Sánchez-Casal Academy, Sánchez-Casal Alumni, scholarships, School, Tennis, Universidad, Universidad americana, Universidades americanas, University. Bookmark the permalink. ← Emilio Sánchez and Sergio Casal, honored at the London ATP Masters 2016. 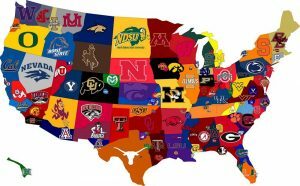 Daniel, great blog about the value of student athletes to their respective colleges and universities. As a former collegiate tennis coach with 20 years experience with both men and women at all 3 NCAA Division levels, I can attest to your conclusions. 1. Not only do collegiate student athletes expose their college or university to a trove of positive exposure through their exploits in the athletic arena, they are also usually the “cream of the crop” when it comes to their collective academic success. At most institutions the average GPA of the student athletes is higher than the overall GPA of the institution. 2. As for the student athletes acacdemic success, my experience has been that, in almost all instances, the GPA’s of the tennis teams I have coached were the highest of all. Unfortunately, my experience has also shown me that many collegiate institutions treat tennis as a disposable program that has no intrinsic value to either the athletic department in particular or the institution in general. This can be seen in the spate of institutions dropping tennis from their athletic endeavors and those that only minimally support their tennis programs. If they could only be made to see that the student tennis players that attend their institutions are among the brightest, most dedicated, self sufficient and intrinsically motivated students and that because of these traits, they are most likely to become highly successful in their post academic lives. If they were to treat them with the respect that they deserve, they would send them into the world with a very positive view of their time spent at their alma mater and be more than happy to support them not only financially but in helping them attract the best and the brightest in the years to come. What could be better for an institution than to be turning out such gifted alum? Jeff, I agree with your points and hope to address them in another article in 2017. Last graduation day, we had the honor of having Dr. Jim Loehr give a speech on how tennis develops one’s mental toughness. Personally, I have seen these results in the classroom as year after year our top student are often our top players. Competitive tennis players are special individuals. Let’s hope that colleges realize this and begin to value these athletes for what they bring to the student body. Thank you, Joey. I agree that college tennis is akin to having a full time job full of early mornings and travel. If a student-athlete does not love the sport, then there are better alternatives such as Division III schools, non-varsity tennis and non-scholarship positions. Tennis is a great sport, but competitive tennis requires a lot of commitment.